Asphalt pavement is a big investment, and it can last for decades if it’s well maintained. 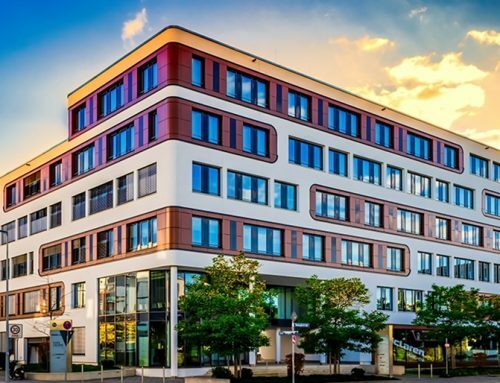 If your maintenance budget is limited, crack sealing is the single most effective and beneficial thing you can do to preserve your investment. Although asphalt cracks are inevitable, if they’re sealed properly, water isn’t able to penetrate the asphalt surface, and a wide variety of problems are prevented. When water seeps through asphalt cracks, the base and sub-grade below are eroded, which destroys the load-bearing capacity of the pavement. Over time, more cracks will form, and you’ll see potholes, sinkholes, and fatigue cracking (also referred to as alligator cracking.) If left untreated, each of these issues can eventually create a large enough problem that the asphalt will need to be removed and replaced. Both shrinkage cracks and stress cracks require slightly different repair methods for maximum effectiveness. Shrinkage cracks are the most common and are caused by asphalt drying out due to oxidation. These cracks begin as hairline cracks on the asphalt surface and work their way down, eventually allowing water to penetrate, saturate, and erode the base material. Shrinkage cracks can be prevented before they form with sealcoat and fog seal. Sealcoat prevents shrinkage cracks by protecting the asphalt surface from water and sun damage. Fog seal prevents shrinkage cracks by restoring oils and increasing asphalt flexibility. 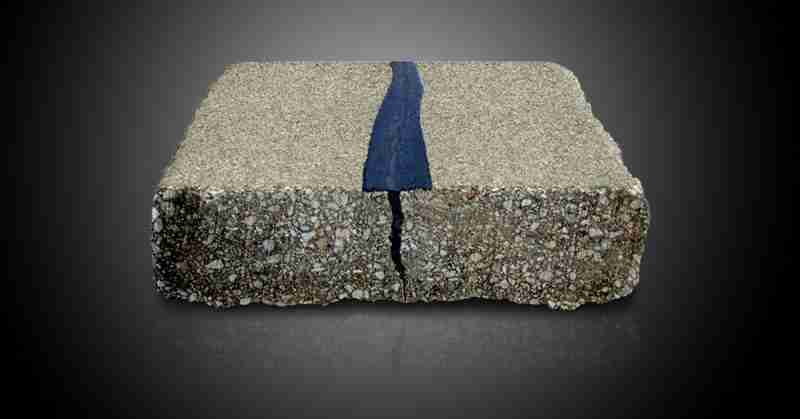 Stress cracks are formed when the asphalt and base are inadequate for the weight they’re holding. When the base is eroded or soft, the weight on the pavement causes cracks to begin forming on the underside of the asphalt. It’s common for stress cracks to form along road edges, in front of dumpsters, and in drive lanes. Because stress cracks originate below the asphalt surface, crack seal has limited effectiveness, and an asphalt patch may be a better option. A good rule of thumb is that if a #2 pencil fits in the crack, it should be treated. Hairline cracks smaller than 1/4″ are too narrow to grip the asphalt crack sealer or allow significant amounts of moisture to penetrate. Wider cracks can be effectively treated with a climate appropriate, hot-applied rubberized crack sealer. When cracks are sealed properly, further damage can frequently be prevented, and extensive repair or repaving projects can be avoided. 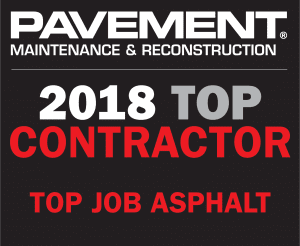 Top Job Asphalt uses top quality crack sealants that are engineered to withstand the low temperatures of northern climates and the high temperatures of harsh, hot southern climates. Nuvo crack sealants by Maxwell Products employ inteliBond technology, which has set a new standard for quality and innovation in the crack seal industry. Although asphalt cracking is bound to happen, Top Job Asphalt has the experience and skill to help you tackle any problem you may encounter. If you need asphalt maintenance or repair, contact us today for a free, no-obligation estimate. 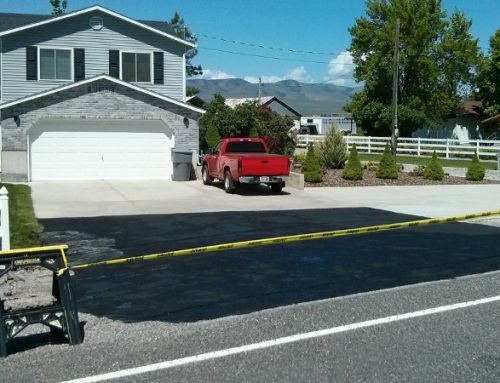 Thank you for the post on the secrets behind the best asphalt crack repair. I like your handy tip to check with a pencil if the crack needs to be treated or not. I definitely think a crack should be treated as soon as possible so it doesn’t result in pieces breaking and causing potholes which can damage vehicles. The parking lot at my office is being repaved and I heard some people discussing whether or not to sealcoat it. I didn’t know what sealcoating is or how it would help so I decided to look into it. 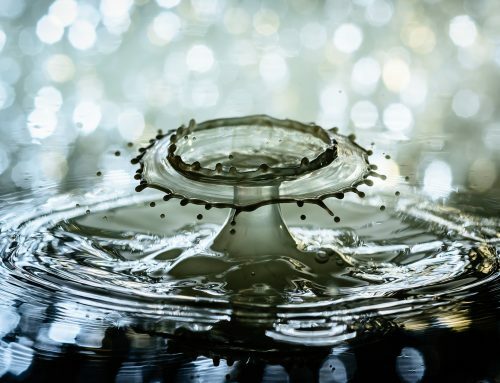 It’s very interesting that sealcoating can help protect against spills by filling surface voids. We’re thinking of whether or not to repair the asphalt driveway, and since you mentioned that it is a big investment, then I guess we’ll hire someone to do it. You did say that there are different types of asphalt cracks and repair methods that I need to assess if I will do it alone, but since I can’t spend some time to do that, I’ll just hire a professional to fix it. Since you suggested that if a #2 pencil fits in the crack then it should be treated, I’ll see if this is the case for the driveway so I will save time.